A smoked tea whose origin lies in the Chinese Lapsang Souchong. Herman Teas, use cinnamon sticks to flavour Ceylon Souchong and it’s considered one of the best Ceylon Souchong Teas in the world. It’s widely believed that our Souchong teas are smoother than the Chinese Lapsang and bears the characteristics of a single malt whisky from the Isle of Sky in Scotland. 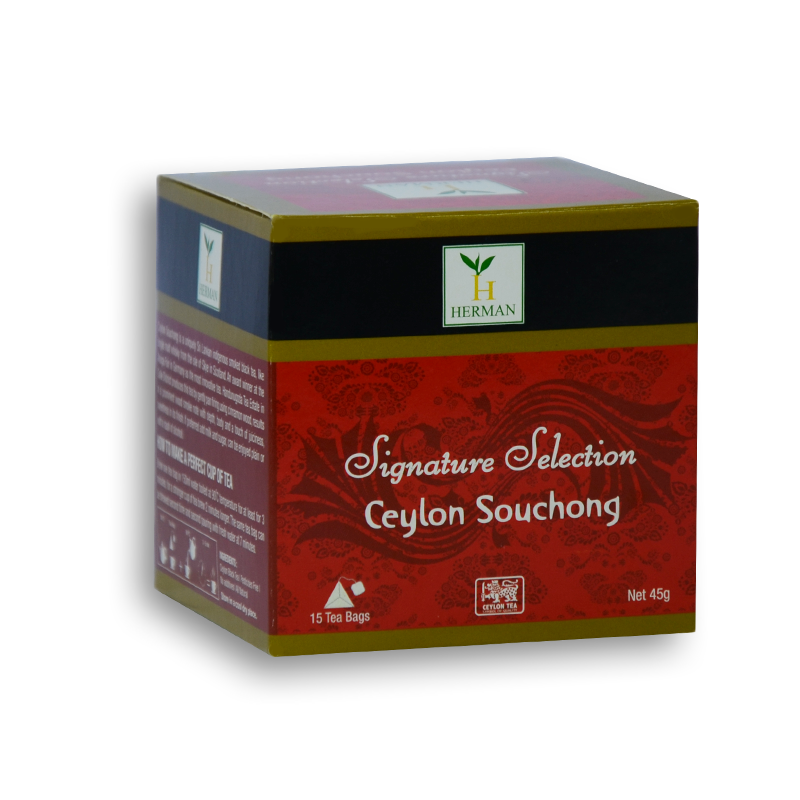 Ceylon Souchong is best consumed with milk or with a touch of alcohol. Rumour has it that this tea is a favourite of Her Majesty the Queen of England and a package of Lapsang is said to accompany her wherever she goes around the world.